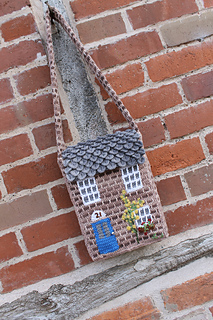 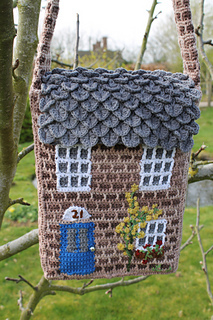 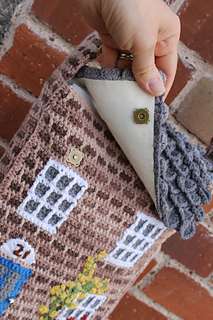 This messenger-style shoulder bag is worked in the form of a pretty country cottage. 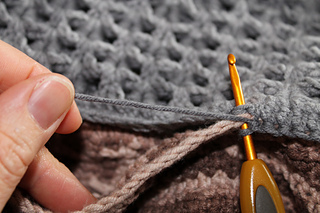 Two major stitches are needed, one that I’m calling brick stitch (for obvious reasons), and also crocodile stitch. 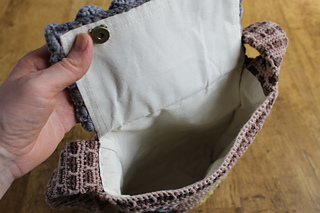 Photo-tutorials for both of these stitches are available at www.thetwistedyarn.com.